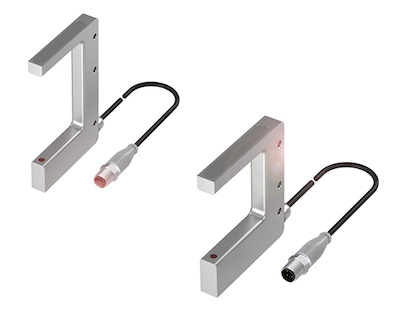 Balluff’s fork, through-beam sensors resist chemicals, coolants and cleaning agents. Balluff introduced its BGL family of IP67/IP69K, stainless steel fork sensors with resistance to aggressive cleaning agents, chemicals, coolants or other media. The sensors feature normally open and normally closed outputs as well as multiple light sources including a red or infrared light source. The line also includes a pigtail with an M12 connector and integral LEDs. For food and beverage applications, the line features PMMA optic lenses and stainless steel housing. According to the company, the sensor’s self-contained through beam sensor doesn’t require alignment.